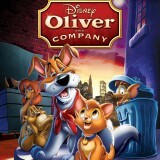 Experience a magical adventure, filled with friendship, fun and “paws-itively” cool music in the new 25th Anniversary Edition Blu-ray of Walt Disney’s Oliver And Company: 25th Anniversary Edition – featuring tail-wagging bonus and new digital mastering! Oliver, a feisty young cat, explores New York in this thrilling animated classic cleverly based on Charles Dickens’ timeless story, “Oliver Twist” — featuring unforgettable songs performed by musical greats Billy Joel, Huey Lewis and Bette Midler! Joined by a pack of hilarious characters — dogs Dodger, Tito and their pals — Oliver knows he’s found a lifelong friend and a real home. The new 25th Anniversary Edition includes Oliver’s Big City Challenge Game, the Academy Award-winning animated short “Lend A Paw” (1941, Short Subject, Cartoon) and much more! Hightail it to your home theater for a fun and exciting movie-watching experience your family will enjoy again and again! In the heart of New York City, Oliver, a mischievous orphaned kitten, is befriended by Dodger, a carefree pooch and his ragtag family of misfit mutts. Life gets even better for Oliver when he is adopted by a lonely little girl named Jenny. But when tough guy Sykes and his Doberman sidekicks try to keep Jenny and Oliver apart, the spirited kitten and his newfound friends discover the meaning of courage and find a home where they truly belong. 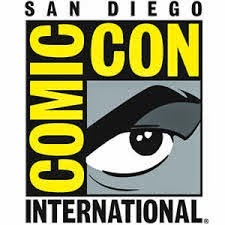 Joey Lawrence (Summer Rental, Urban Legends: Final Cut) as Oliver, Billy Joel (Hangover Part II, 13 Going on 30) as Dodger, Cheech Marin (The Lion King, Grindhouse) as Tito, Richard Mulligan (Little Big Man, Trail of the Pink Panther) as Einstein, Roscoe Lee Browne (Treasure Planet, Babe) as Francis, Dom DeLuise (All Dogs Go to Heaven, History of the World: Part I) as Fagin, Natalie Gregory (Alice in Wonderland, Wait Until Spring) as Jenny, Bette Midler (Fantasia/2000, Beaches) as Georgette.